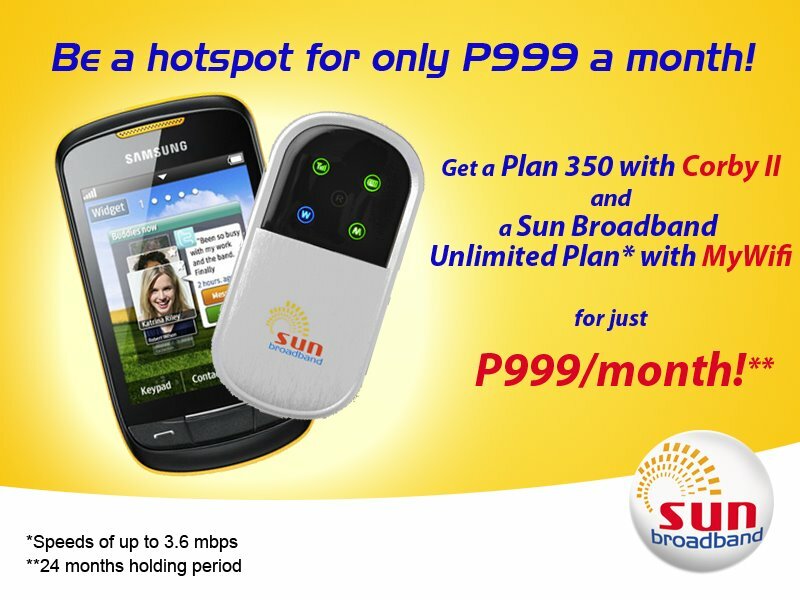 Sun Cellular is offering a new tempting offer: a Plan 350 with a Samsung Corby II + Sun Broadband Unlimited plan with a MyWifi mobile router for P999 a month. Usher in the holidays with this new bundle from Sun Broadband! Get a Plan 350 with a Samsung Corby II and a Sun Broadband unlimited plan with a MyWifi mobile router all for just P999 a month!